Frankie escaped three times last weekend by using a trick that Chris figured out years ago; He no longer hesitates when the door opens. As soon as the door cracks open, out he goes. Once out, he is nearly impossible to catch. I have to wait until he wears himself out before I can catch him. The following video was compiled from two separate escapes, Friday evening and Sunday afternoon. It is very similar to what Chris used to do four years ago. In other news, we could not get Chris a vet appointment until late Tuesday. I am concerned because when we got home today I noticed that both of his eyes are compleatly dilated. I called the vet back but they had closed by then. I did leave a message that I was concerned and asked if they could squeeze him in on Monday. I will be at work so Rose will have to bring him. 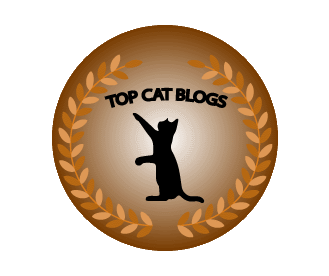 This entry was posted in Uncategorized and tagged cat, chase, escape, eye infection, vet on September 17, 2016 by Charles Huss. Wally likes to escape when I open the door. I have to watch him like a hawk. Though when he does run out, he doesn’t go far. Hope you can get Chris into the vet sooner. Thanks. Wally is so much like Chris. Thank you. We will take them. Frankie is naughty. I will be praying for Chris. Thank you. He is another Chris. Thanks. I guess it’s common. I think Frankie enjoys making you chase him. I hope the vet can see Chris sooner and help whatever is going on with him. He is clearly playing a very fun game of chase with you. He wants you to follow him, thus the obvious curl to his tail as he sprints off again. My cat will do similar, but he’ll get across the street and suddenly flop over as I get close, saying “alright mommy, I give up” as he rolls onto his back. Somehow you need to make his game not so much fun. Maybe just follow at a distance and not run after him? You will find what works for you and him. Good luck! He goes under cars because he know it frustrates me. 🙂 Sometimes I will just sit on my stairs and wait for him. I hope he is OK. My kitty is battling an eye issue as well. The vet gave me an ointment to apply, and so far he’s doing very well. He is still having issues with his eyes but they are getting better. Thanks for your concern. Frankie is doing well now. Just a sneeze every now and then. Maybe that’s where he is trying to escape to. Oh my! If a cat doesn’t want to be caught, there’s not much you can do. Ours isn’t the brightest star in the cosmos, but he can still outfox & outrun us when he feels like it! Being small enough to hide under cars helps. Glad you got your kitty back inside! I’m paranoid about our cats getting out, since we live on a busy road. I understand. Our last place was next to a marinade that was on a busy road. Whenever Frankie escaped, we had to “herd” him away from that street.